Winchcombe is a place steeped in history. With Sudeley Castle, St Peters Church and the remains of a huge Abbey it is possible to step back in time on ever corner! Hailes Abbey and church are a short drive away or a longer walk. But for me the place I love to walk to is Belas Knap. It is a Neolithic Long Barrow. This was used over 5500 years ago as a burial site and may have been used for longer. It is hard to imagine just how long ago that was but it is a special place to visit at any time of the year. On Monday last week, we walked up Langley Rd to Cleeve Hill. It was a glorious, warm sunny October day. 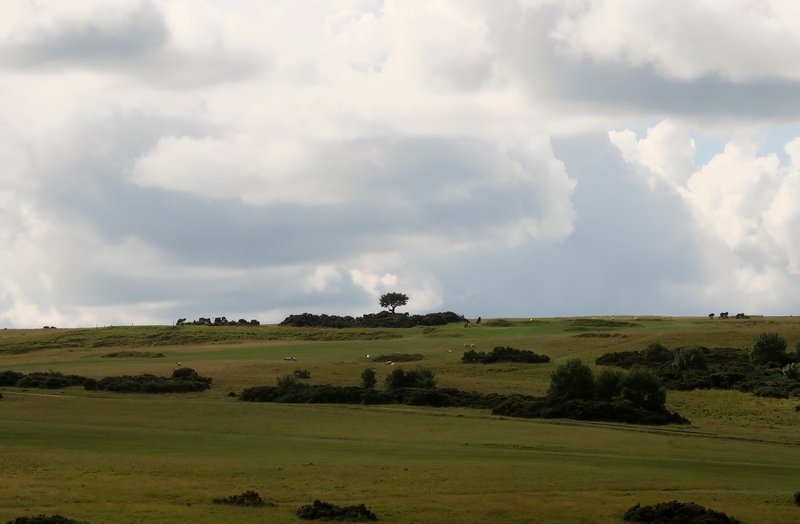 We stopped at Cleeve Hill golf course for a drink and then walked on to Belas Knap. 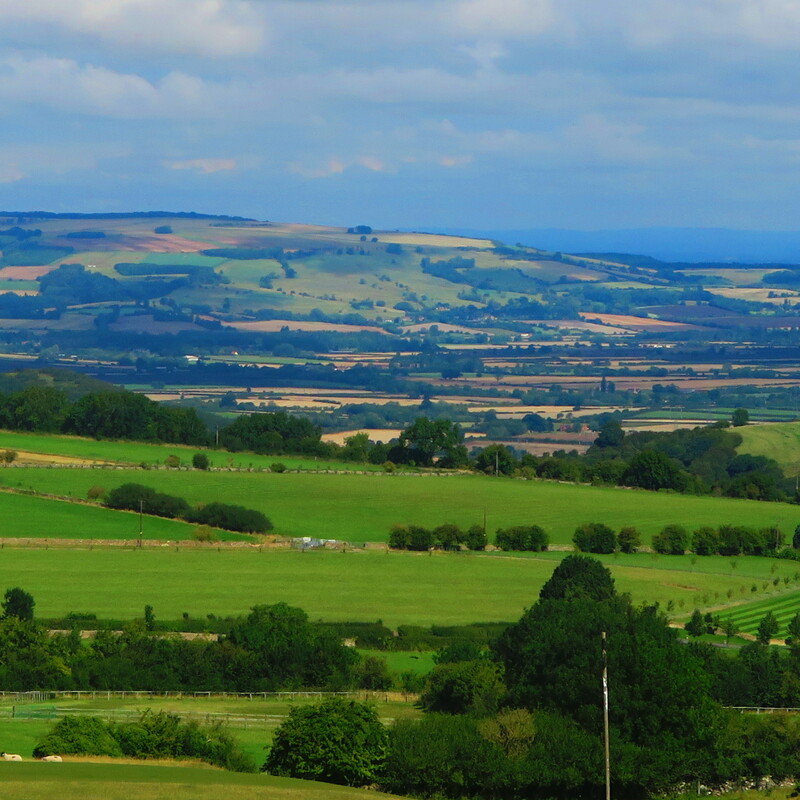 Cleeve Hill is the highest point in Gloucestershire and the views can be amazing. If you don’t want to walk, you can always catch the bus to the top and then walk back to Winchcombe. If you walk, it’s about an 8 mile round trip and very well worth the effort. The organisation has produced 22 walks that are easily accessible from the town. They range from very short to a long day. 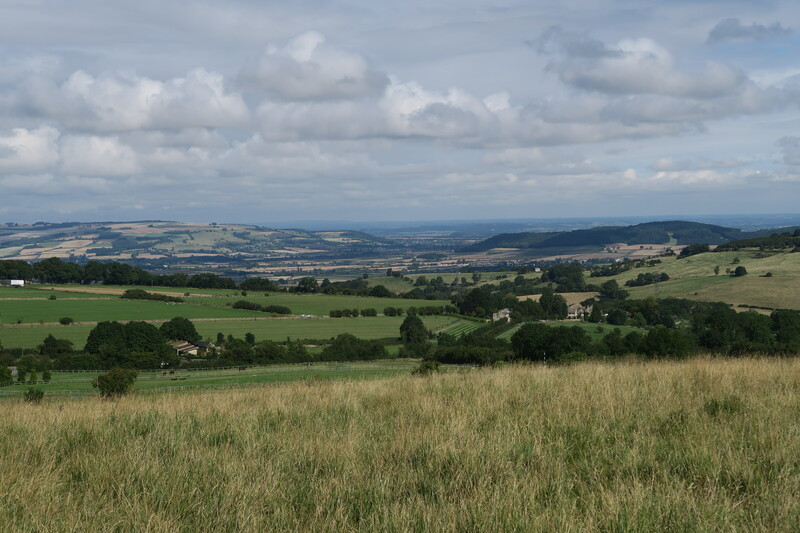 The town is on the Cotswold Way and has easy access to many other ‘ways’ l ike the Wardens Way, the Windrush Way, the Isbourne Way and the Winchcombe Way. Last we week we did Walk 22, (https://www.winchcombewelcomeswalkers.com/wp-content/uploads/Walk-22-Sudeley-Valley.pdf) an 8 mile walk, taking in several of these routes and enjoyed some spectacular views including the low flying training aircraft that fly low over the area most days, and two spectacular kites. These birds are seen ever closer to Winchcombe year by year. Although we have lived here for 20 years, I never fail to be amazed by the beauty on our doorstep and on yours if you stay in the Barn Reborn! Well the one thing we can never guarantee is good weather and the one thing that is certain is that our guests seem good at finding interesting things to do come rain or shine. And it has to be admitted that compared to the heatwave last June this year it has rained most days. The upside is that everywhere is green, the trees and shrubs are looking particularly good and when the sun does come out we really do appreciate it. We are particularly fortunate in being an hour or so away from some wonderful towns and cities and we have more National Trust houses and gardens near us than I can easily count. I would recommend Hidcote, Snowshill and Chastleton. Travel a bit further and Upton House, Packwood, Baddesley Clinton, Hanbury Hall and Coughton Court are all well worth the trip. We also have Sudeley castle on our doorstop. I’d love a watering can like this one! We waved goodbye to our Christmas and New Year guests and put the Barn to be for a few months. Now spring is here and we have already welcome guests from southern Spain, Sussex and Birmingham. The sun is shining, the bulbs are flowering and everything in the garden is ready to spring back to life. We have lots of bookings for the year but there are still a few weeks available for those like us who book their breaks late! The photos below show some views from the bedroom window last week, a view of the pond and a couple of photos inside. The Barn has been a popular place for a break this year with 34 lets across about 9 months (as we have had a few holidays ourselves.) Our feedback has continued to be excellent with just one couple having a few issues which sadly they didn’t mention whilst staying. Luckily the other 33 sets of guests were happy so we must be doing OK! We can assure future guests that the heating does work and the internet is much improved now that we have fibre and that most mobile phones get a good signal. We were decorated for Christmas as we had visitors over both Christmas and the New Year. The weather wasn’t good but the Barn was cosy and the Christmas cake went down well. We now plan a little redecoration and maintenance before our season starts in March. We already have a lot of bookings so look forward to helping people have a good holiday in 2016. Sun, showers, birds and squirrels! Hidcote Gardens and Snowshill, both National Trust properties remain popular with many people. Regular visits to the garden by a white squirrel provides interest for many as do the wide variety of bird species that visit. Last week when we were cleaning, we heard a tapping and looked out of the bedroom window to see a pair of nuthatches. One had a hazel nut from the tree, wedged in a gap between the paving so that he could crack it. Fascinating to watch. 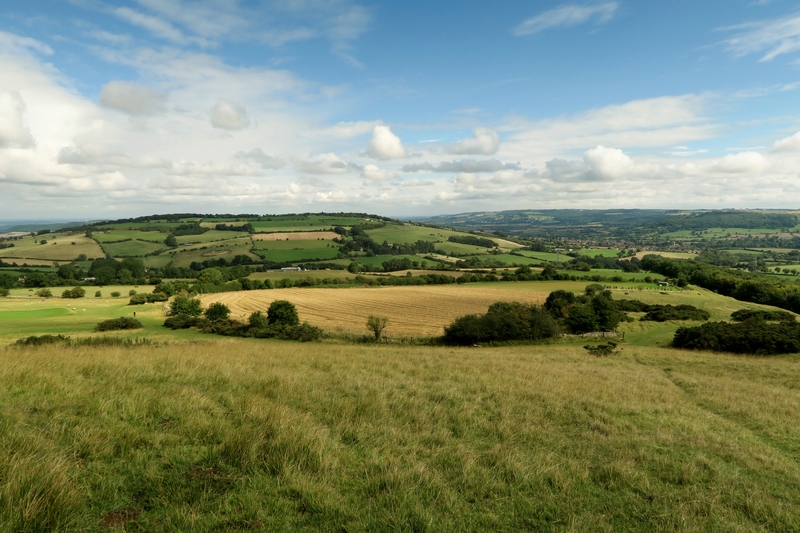 Walking is an ever popular activity and the walks produced by Winchcombe Welcomes Walkers have proved popular. Guests are welcome to borrow the laminated copies together with maps. The walk to Hailes Abbey (stop at the Hailes Farm cafe for lunch, coffee or tea) is popular. So too is the walk back to Winchcombe from Cleeve Hill or Prestbury. Take the bus out and walk back. The views are fantastic, especially in Autumn when the air is clear. The photos below show views from Cleeve hill on a sunny September morning.